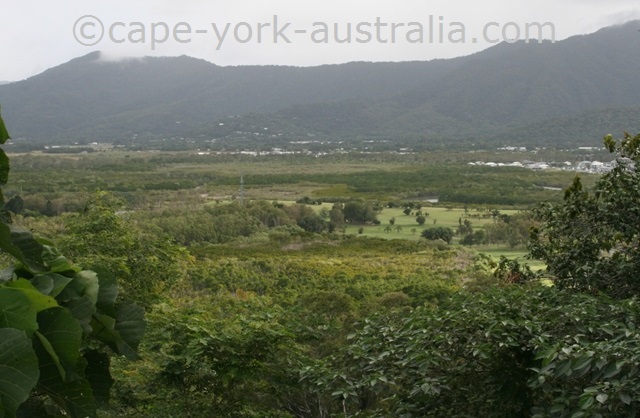 Yorkeys Knob is one of Cairns Northern Beaches. It is mostly known for its Boat Club in Half Moon Bay that is a popular place to hang out, have a few drinks and a lunch or a dinner. And it is a nice place too. ... with a small supermarket, bottle shop, bakery, a cafe, a pizza shop, car hire, hair dresser, a post office, a few real estate agencies and a tourist information centre. 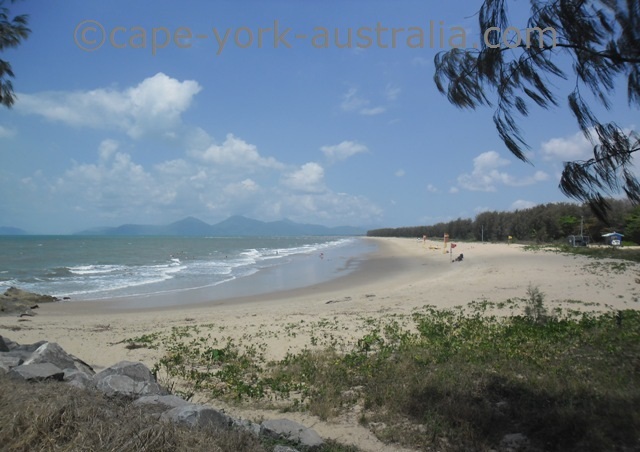 If you don't turn in the Yorkeys Knob Boat Club and keep driving, you come to the beach, which is a nice one. 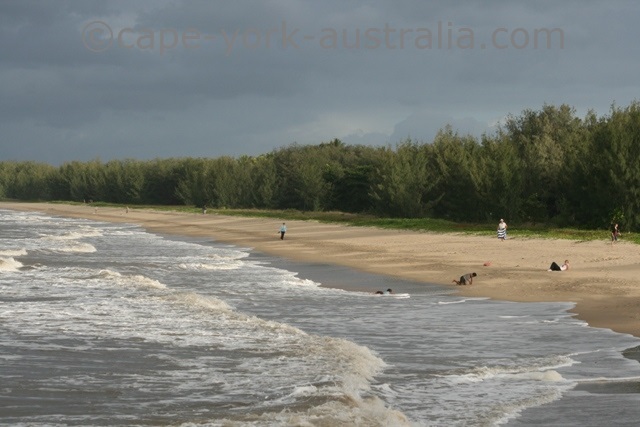 It's not a palm-tree beach, but a casuarina beach, but it is long enough for a half decent stroll and is popular with locals walking and enjoying all kinds of beach activities. 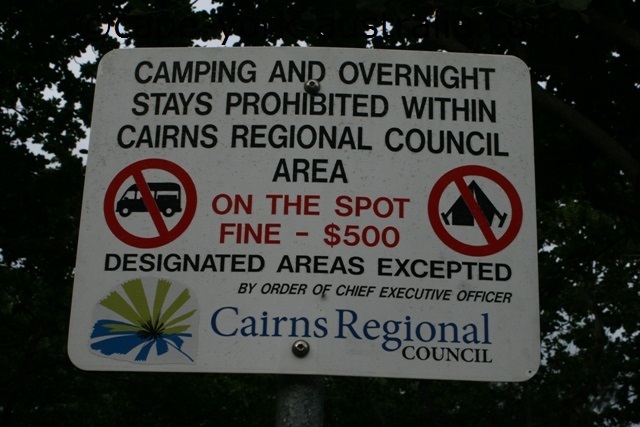 There is a beach front park with toilets and picnic tables but no camping. There is other nice accommodation though. 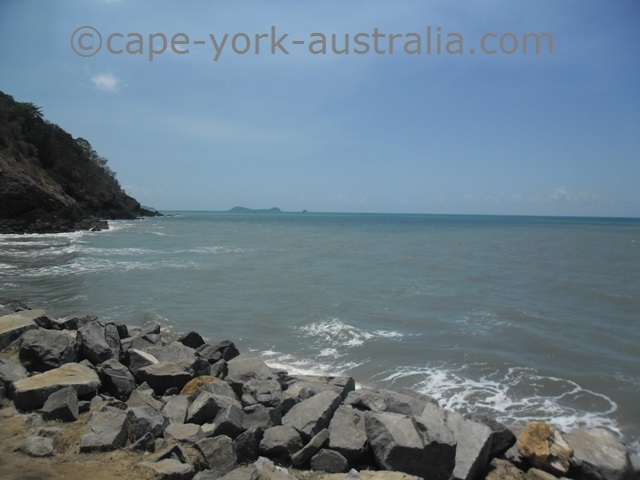 Behind the park is a rocky headland nice for fishing. On the other side of the headland is Half Moon Bay. And if you drive up the hill above the bay, there are a few views. It's not a lookout point though, just a local street. 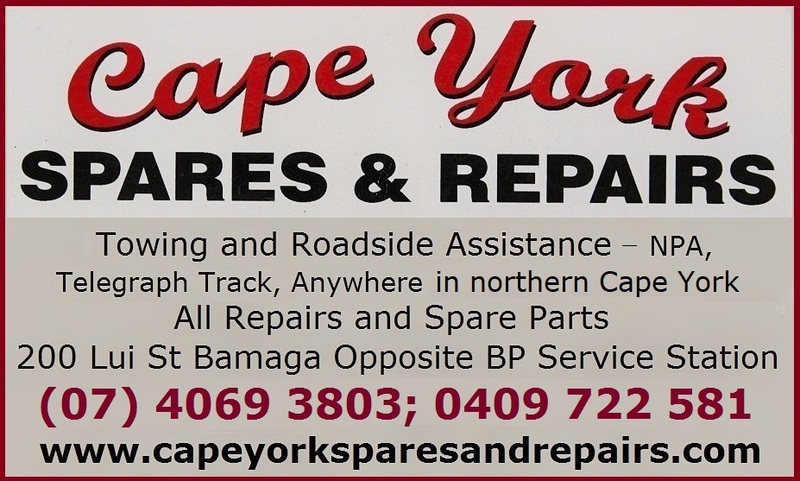 In late May/early June the Yorkey's Knob Festival is held at the community centre parklands. 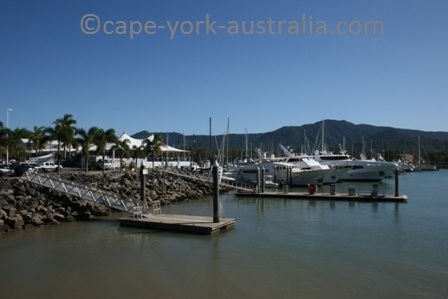 It's a quiet residential community with a nice beach, a shopping centre, a few places to stay and a lively boat club. Golden Sands has self contained units with kitchenettes, mini bars, TVs, DVD players and internet. There is a bar, a restaurant, a swimming pool, a spa, a private beach, tennis courts, a gym and a fitness room; room service, a tour desk, parking and laundry service. 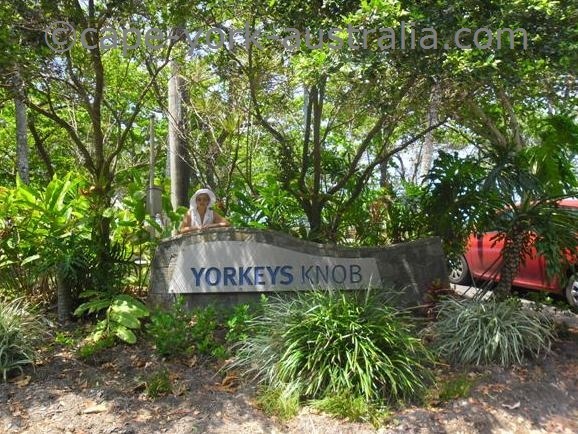 These apartments are on the Esplanade in Yorkeys Knob. They have fully equipped kitchens with stove, oven, dishwasher, and of course fridge and freezer; and fully equipped laundry in each apartment. There is a saltwater lap swimming pool, spa, a BBQ area and off-street parking. 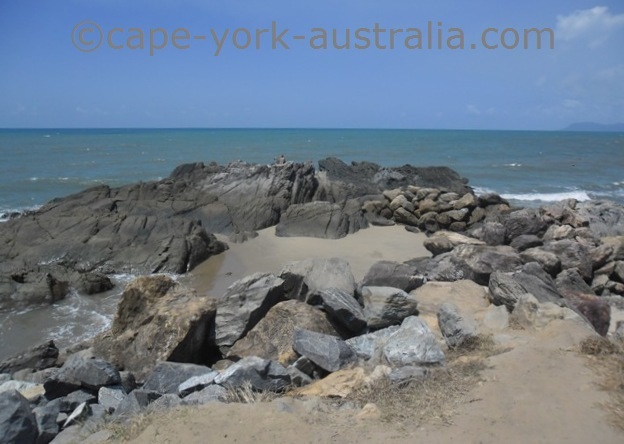 Villa Marine is a block back from the beachfront of Yorkeys Knob Beach. It has self contained apartments with air conditioning, kitchenettes, TVs, and guest laundries. There is a swimming pool in the lush tropical rainforest gardens.